Formed in 1904, the club was originally called the ‘Martyrs of Chicago’ in homage to 8 anarchists who were either imprisoned or hanged following the Haymarket Riot in 1886. 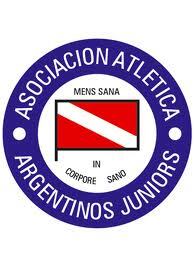 Shortly after, Argentinos Juniors made the move to the neighbourhood of La Paternal and are recognisable as the club that exists today. Argentinos Juniors are renowned for their famed youth academy or ‘El Semillero’, most notably as it gave birth of Argentina’s most famous footballer/person, Diego Maradona. Maradona made his debut in 1976 at the age of 15, a league record, broken years later by Sergio Aguero. His rise to prominence was meteoric and despite not winning any titles with Argentinos his sale to Boca Juniors in 1981 funded the side that would go on to have so much success. In 1984, Argentinos won the championship on the final day of the season and a year later they claimed the biggest prize in South American football when they defeated America de Cali of Colombia in the Final of the Copa Libertadores. 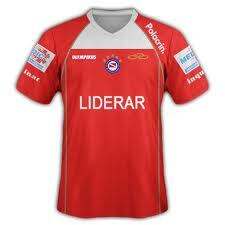 This was undoubtedly the pinnacle of the club’s long history and shortly after Argentinos went into decline. Relegation followed and then a return to the top flight but relegation remained a threat. In 2010, survival was the target but Argentinos rolled back the years and won their first title in 25 years with a win on the final day against Huracan.